The All Natural Cleaning Company is the first janitorial cleaning company to use nothing but 100 percent natural cleaning products like white vinegar, baking soda, lemon, corn starch, hydrogen peroxide, flour, Isopropyl Alcohol, Lavender oil and many other naturally occurring products. We research each and every product before using it. We use only natural products that we are familiar with. The majority of our products are 100 percent edible. At the All Natural Cleaning Company we are trend setters. We are locally owned and operated. We are ready to make a positive difference in people's lives. After we clean your home or office we will educate you on natural cleaning and show you how to do it yourself next time. 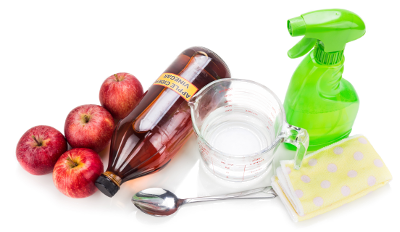 We will also help you get rid of all the toxins stored around your house or office that are poisoning you slowly. Most if not all other cleaning companies use dangerous and potent products to get the job done fast regardless of the health consequences to their clients so they can move on to their other clients. Do you actually know what kind of harmful chemicals are being used to clean your home or work? You will be surprised. As for the so called "Green" cleaning products used by many janitorial companies today, these products are being produced by the same chemical companies that were producing the old toxic products. Currently 98% of the so called "Green" products contain harmful chemicals. If you care about your health, the health of your loved ones, and those you work with; Call us today (505)399-9193. Consultation is free.